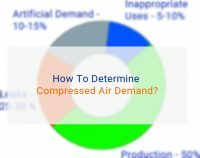 Filtration is an essential component of any compressed air system, removing particulate and other matter that could potentially damage the components of your system from your compressed air supply. Line filters are also used to remove contaminates such as moisture and dirt from compressed air in order to make it suitable for its end use. Depending on the industry in which you work, the level and type of filtration you require will vary. If you work in the food and beverage industry, for example, pristine air free of odor, flavors and any other harmful contaminants is essential. The type of filter you choose will also depend on the size of your system and the kind of filtration you need to carry out. Budget should also be considered a key consideration. 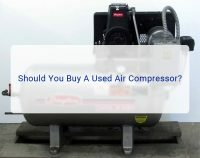 Compressed air filters typically consist of two parts, the filter casing and the filter element. It’s the filter element that carries out most of the filtering, although the casing can still play an essential part in the filtration process by limiting pressure drop and controlling the way compressed air passes through the filter (by creating a cyclone, for example). 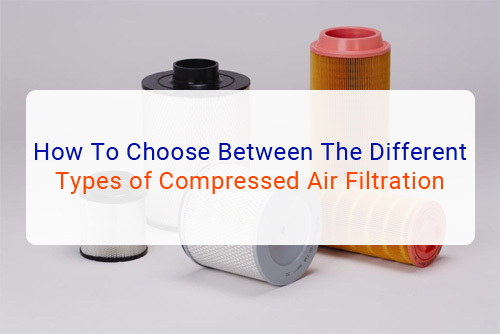 There are quite a few different types of compressed air filters on the market at the moment; below is a brief outline of some of the most common types of filtration. The intake filter is the first line of filtration in a compressed air system and, as is suggested by the name, filters solids and other such contaminants from air at the point of intake. This ensures that no solids in air can be carried through into the system, where they could potentially cause a lot of damage even after filtration. Another reasonably self-explanatory filtration component, a particulate filter is reasonable for filtering out any particles, such as dust, from the air supply. This can be done in a number of ways, although direct intervention (in which particles are ‘captured’ by the filter element) is one of the most common methods utilized. Coalescing filters, such as those manufactured by Parker Domnick Hunter, are used to remove water and oil aerosols from the compressed air supply. Large oil and water droplets are typically removed from compressed air via gravity, which draws the droplets down to the bottom of a filter while the air rises to the top. However, smaller droplets are less susceptible to gravity, which is coalescing comes in. By combining smaller drops of water and oil into larger droplets, a coalescing filter allows for these droplets to ‘fall’ out of the supply, leaving the air devoid of contaminants. The purpose of Activated Carbon Filters is to remove odors and bad tastes from compressed air, making them essential for anyone working in the food and beverage industry. 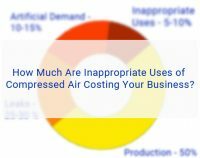 Odors and tastes that naturally occur in air can ruin products, setting back production and potentially losing you a lot of money. Activated Carbon Filters utilize activated carbon (also known as activated charcoal) within the filter element in order to ‘capture’ odours and flavors, leaving the air that passes through the element clean and ready to use for food applications. ACFs are also used for breathing air, chemicals and a wide array of other applications. Cyclone Separators work to a slightly different principle to other filters but perform the same basic function. Rather than relying on a filter element, cyclone separators work by creating a cyclone. Air passes into the top of the separator, where it is moved in a cyclone movement towards the bottom of the conical. Any particulate strikes the edges of the separator and falls to the bottom. The air then moves up through the cyclone directly, leaving any particulate behind.